Skyslide: A Los Angeles Venue. 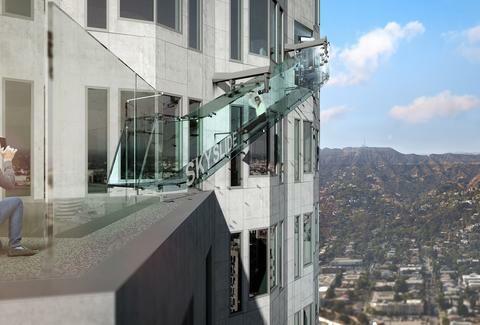 This glass-bottomed, 40ft slide hovering 1,000ft over downtown Los Angeles is a must-experience thrill. Located in the OUE Skyspace, the observation deck allows for 360-degree, breathtaking views of LA, while the slide itself gives you a chance to experience the views like never before.